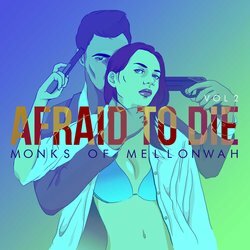 Monks of Mellonwah (MOM) are an award winning four-piece alternative rock and indie band based in Sydney, Australia. The band has toured nationally and internationally, travelling to the United States twice, winning awards for Best International Act (LA Music Awards 2012) and Best Indie Rock Band (2012 AIM Awards). MOM has been described as the 'birth child' of bands such as Pink Floyd and Led Zeppelin (Middle Tennessee Music 2013). Their sound is something of an amalgamation of the psychedelic sounds of the 70's, the searing alternative rock sounds of the 90's and the epic, emotive feelings of film inspired music. Their three EP's and subsequent music videos gained them worldwide critical acclaim, airplay on MTV networks and extensive radio play. MOM have received international and national radio play, College Radio in the US and Canada, hundreds of reviews and features worldwide, including coverage on MTV, Big Takeover Magazine, CMJ, Kings of A&R, Huffington Post, Absolute Punk and Passport Approved. Media attention has earned them licensing spots and syncs through a number of production companies in the US and Germany including Discovery Networks and Bunim Murray. Syncs include MTV’s The Real World and RTL2 Germany’s show ‘Die Tierretter’.